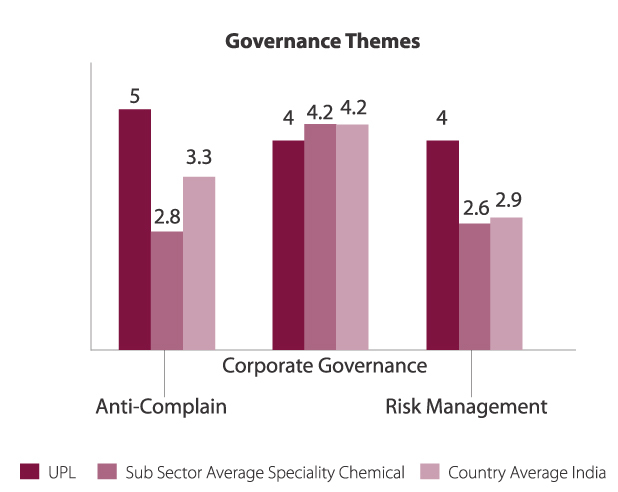 Global risk and opportunities from natural resource scarcity to changing governance standards, from global workforce management to continuous evolving regulatory landscape, Environment Social and Governance (ESG) factors holds the potential to impact short term or long term risk of an organisation. ESG risks and opportunities assessment assist company's management to integrate these factors into the business portfolio and management evaluation process to mitigate the impact and embrace upon the arising opportunities. At UPL, we believe in continuous improvement for growth and transparently communicating the performance to our investors and other stakeholders at large. This year we participated in rating indices like FTSE Russell and DJSI which undertakes a comprehensive exercise of evaluating various ESG parameters of the company. FTSE Russell is a British provider of stock market indices and associated data services, wholly owned by the London Stock Exchange (LSE). FTSE Russell has been at the forefront of innovating ESG indexing for nearly two decades. 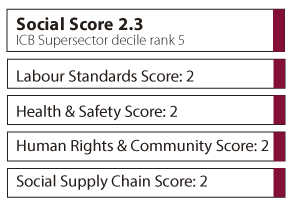 The FTSE4Good Index Series is a market-leading tool for investors seeking to invest in companies that demonstrate good sustainability practices. It also supports investors who wish to encourage positive change in corporate behavior and align their portfolios with their values. 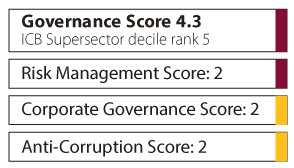 Understanding the comprehensiveness of the indices and level of transparency it provides to the investor, we agreed to participate in the ESG rating under FTSE 4 Good Index series. 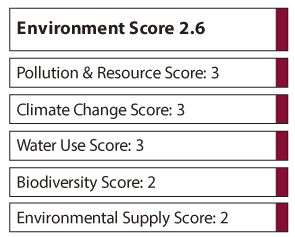 This index family is based on the 14 themes areas under environment, social and governance pillar. 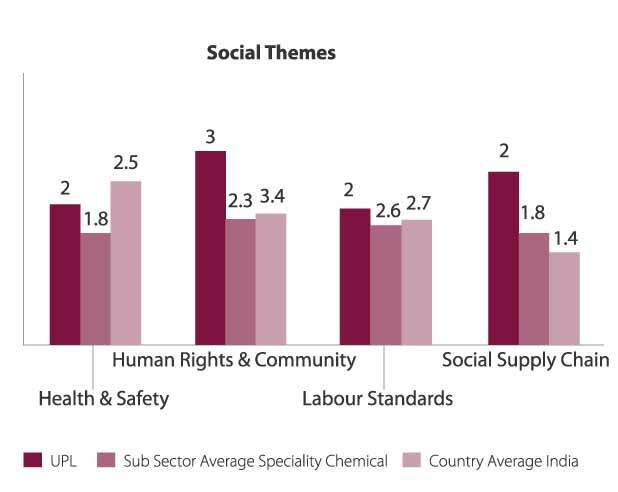 Relevant information was made available for indicators under these themes. S&P Dow Jones Indices partners with RobecoSAM, a specialist in sustainability investing, to provide investors with objective benchmarks for managing their sustainability investment portfolios. 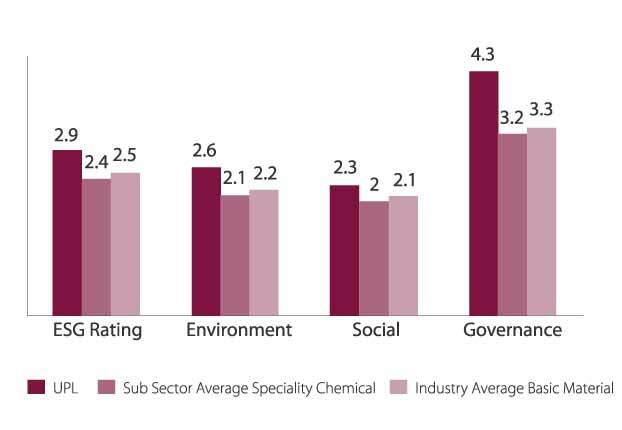 The DJSI allow the creation of portfolios of companies that fulfill certain sustainability criteria better than the majority of their peers within a given industry. 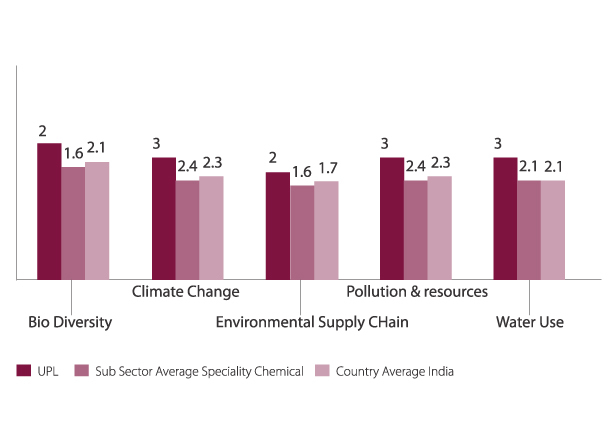 The Dow Jones Sustainability Indices (DJSI) measure the performance of companies selected with economic, environmental and social criteria using a best-in-class approach.